If you decide to borrow, always think federal aid first! Students must meet basic eligibility criteria set by the federal government and be making satisfactory academic progress toward their degree to be eligible for federal student aid. To apply for federal aid, students need to submit a Free Application for Federal Student Aid (FAFSA) each year. The following types of federal loans are available to students and/or their parents. The Federal Pell Grant is available to undergraduate students pursuing their first bachelor's degree that demonstrate financial need as determined by the FAFSA. Pell Grants do not need to be repaid and awards range based on the student's EFC. The exact award amount is dependent upon the student's enrollment status (full-time, 3/4 time, half-time, or less than half-time) and their Expected Family Contribution (EFC) which is calculated by the federal government based on the information supplied on the FAFSA. Until the student has met the degree requirements of a bachelor's degree, whichever happens sooner. Supplemental Educational Opportunity Grant (SEOG) is awarded to undergraduate students with the lowest EFC who will also receive a Federal Pell Grant in that academic year. Funding is limited so students are strongly encouraged to file the FAFSA by March 1. SEOG is awarded based on Buffalo State's packaging philosophy and is typically $100 per semester. Financial need is required. A student may receive an SEOG grant as long as they are pursuing their first bachelor's degree and are receiving a Pell grant. The Teacher Education Assistance for College and Higher Education (TEACH) program provides grants of up to $4,000* a year to undergraduate or graduate students who are completing or plan to complete course work needed to begin a career in teaching. A TEACH grant is different from other federal student grants because it requires the recipient to take certain kinds of classes in order to qualify for the grant, and then do a certain kind of job to keep the grant from turning into a loan. If a student fails to complete the service obligation after graduation, the grant is converted into an unsubsidized loan with retro-active interest. Students must file the FAFSA, meet GPA requirements and complete TEACH Counseling and an Agreement to Serve each year in which they want to use TEACH Grant funding. Students may receive up to $3,716 per year in TEACH grant funds. *Note that TEACH Grants are subject to Federal Sequestration and will be reduced by a small percentage.  The maximum Federal Work Study (FWS) award for the 2015-2016 school year is currently $3,360 (subject to changed pending final funding allocations) and is based on financial need at Buffalo State. FWS is available only during the fall and spring semesters. Funding is very limited and awarded on a first-come, first-served basis so students are encouraged to submit their FAFSA by March 1. Federal Direct Subsidized and Unsubsidized loans are available to students from the federal government through the Department of Education. Subsidized loans are interest free while the student is enrolled at least half-time. Fixed interest rates are set by the federal government and subject to change. The interest rate for subsidized loans originated on or after July 1, 2017, is 4.45%. To be eligible for this loan, a student must demonstrate financial need as determined from the FAFSA. Unsubsidized loans accrue interest while the student is in attendance. Students have the option to make interest only payments on the loan while they are in school or defer all payment until after they graduate or leave school for any reason. Interest that has accumulated while the student is in school will be capitalized and added onto the principal balance of the loan. Students who do not qualify for a subsidized loan will usually qualify for an unsubsidized loan. The fixed interest rate for unsubsidized loans is currently 4.45% for undergraduate students and 6.00% for graduate students. Annual loan limits are set for each class year by the Department of Education and cannot be changed by the school. Eligibility requirements are also determined by the Department of Education and all regulatory policies must be strictly adhered to by the college. 0-29 credit hours $5,500 per year; No more than $3,500 of this amount may be subsidized. $9,500 per year; No more than $3,500 of this amount may be subsidized. 30-59 credits $6,500 per year; No more than $4,500 of this amount may be subsidized. $10,500 per year; No more than $4,500 of this amount may be subsidized. 60+ credit hours $7,500 per year; No more than $5,500 of this amount may be subsidized. $12,500 per year; No more than $5,500 of this amount may be subsidized. Teacher Certification $5,500 per year; All may be subsidized $12,500 per year; No more than $5,500 of this amount may be subsidized. All year levels Not Applicable $20,500 per year; No amount may be subsidized. Undergraduate $31,000; No more than $23,000 of this amount may be subsidized. $57,500 - No more than $23,000 of this amount may be in subsidized loans. Teacher Certification $31,000; No more than $23,000 of this amount may be subsidized and includes all prior undergraduate loans. $57,500; No more than $23,000 of this amount may be subsidized and includes all prior undergraduate loans. Graduate Not applicable. $138,500; No more than $65,500 of this amount may be in subsidized loans. The graduate debt limit includes all federal loans received for undergraduate study. Direct Grad PLUS loans for graduate and professional degree students can be considered only after accepting the maximum eligibility for Federal Direct Unsubsidized loans. The Graduate PLUS loan can be borrowed if there is a gap between the student’s cost of education and all other aid including the Direct Unsubsidized loan. As with all loan programs, we urge you to borrow conservatively. The Federal Direct Parent PLUS loan is a loan in the parent’s name to assist their undergraduate dependent student when there is a gap between the cost of attendance and the student’s own financial aid. The interest rate for Grad PLUS or Parent PLUS loans originated on or after July 1, 2017 is 7.00%.